gallons included in the monthly flat rate. 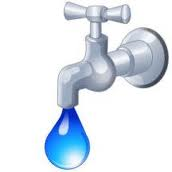 For most ratepayers, this may amount to doubling their water rates. CCWD says costs to run the district have increased and that is the reason. There is no way to stop rate increases. We just knew that - there was no point in going to the public meetings or protesting because it was undoubtedly a done deal. Just like all Supervisor deals. All decided behind closed doors. Public comment voting just a show.